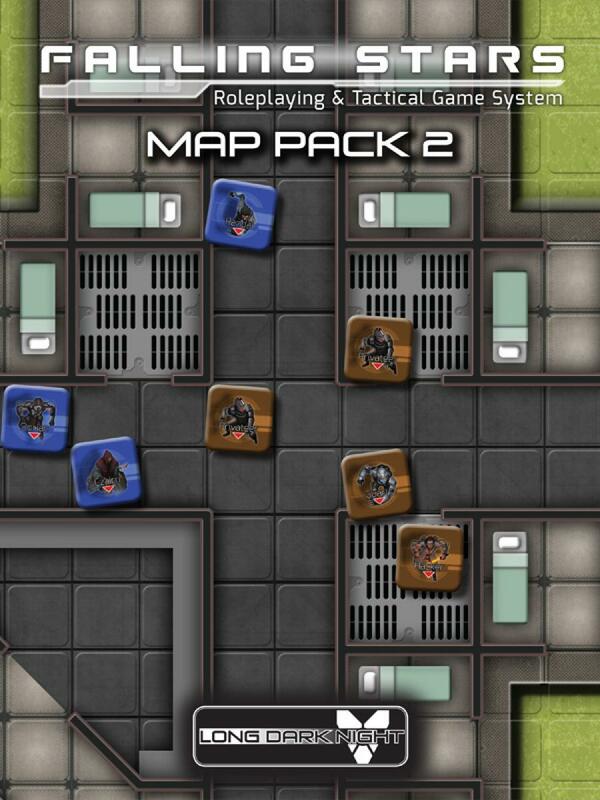 This map pack contains 6, full-color, multi-part, printed maps. 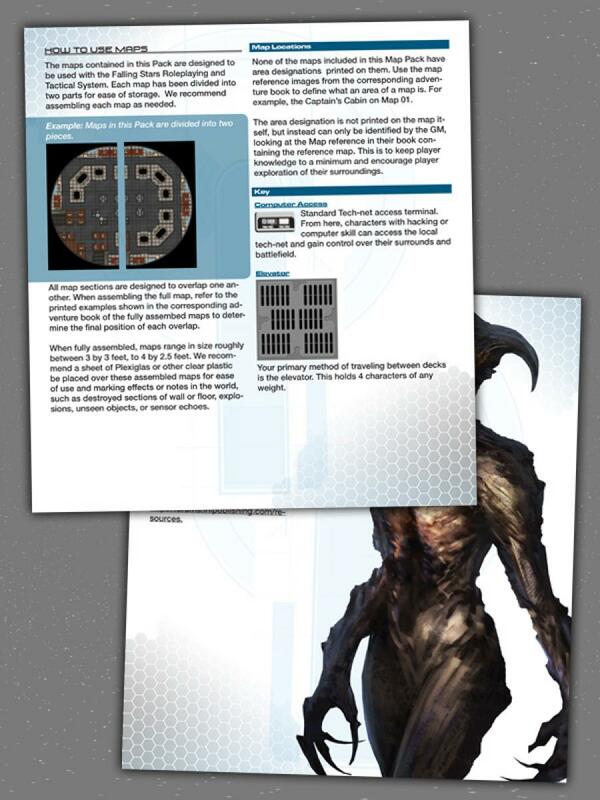 These maps are designed for use with either 28mm miniatures or Falling Stars 1-inch counters. 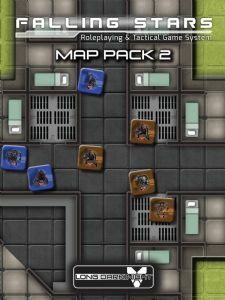 Each contains locations and icons representing specific gameplay actions and obstacles from the Falling Stars Roleplaying and Tactical System. 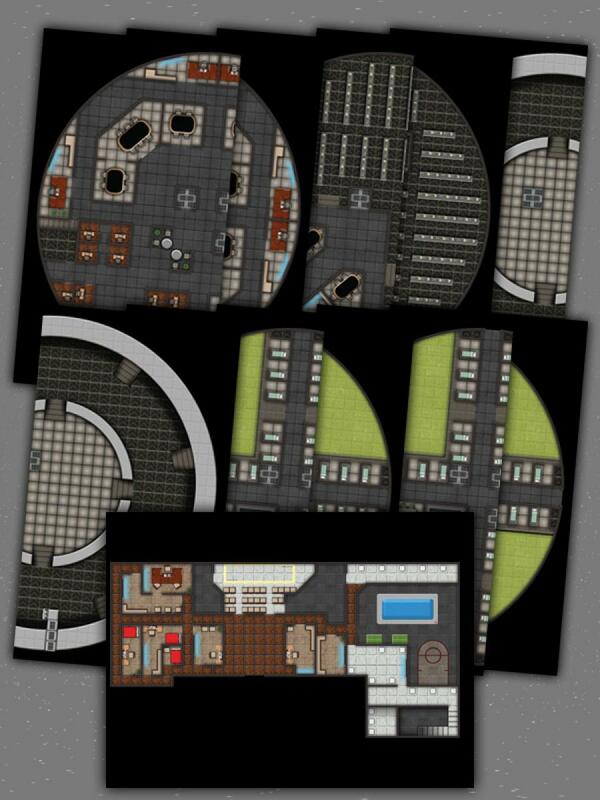 Each map represents a pivotal encounter in the Long Dark Night campaign, but can also be used to create your own adventures!